Maximize your beauty potential at Maria Sousa Electrolysis Ltd. We remove hair permanently by using the world famous Kree Method of electrolysis. All our procedures are medically approved and highly recommended by leading medical specialists. 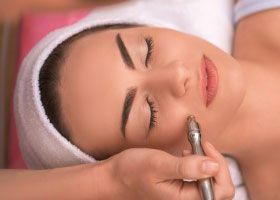 Located in Burlington, we’re a small, personable electrolysis clinic. We started out as a full spa in 1971, but wishing to offer a more expert service, we narrowed our specialties to simply electrolysis. This allows us to fully dedicate our education and skills to bringing you the latest in hair removal. Electrolysis is a great solution to hair removal. Plucking, shaving, and waxing only remove hair temporarily. 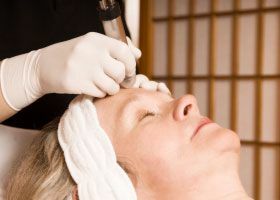 On the other hand, electrolysis offers the best results, removing hair permanently. So throw away that razor and toss that wax. For hair removal that lasts, trust Maria Sousa Electrolysis Ltd.
Electrolysis requires several appointments, so begin scheduling today. Just give us a call. When locating our clinic, you can find us across the street from East Mall Plaza just 1 block east of Walkers Line Corner on New Street. There is ample free parking and our clinic is easily accessed by public transportation.